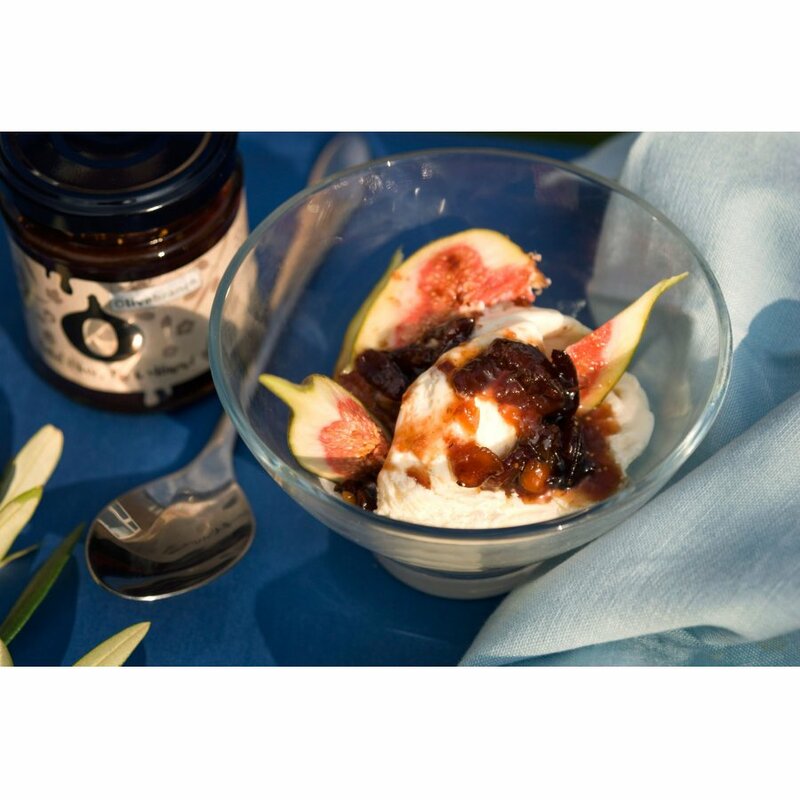 Inspired by a recipe by Masterchef 2012 finalist Andrew Kojima and winner of 2 Gold Stars in 2014 Great Taste Awards and Silver Prize in France’s Prix les Épicures, the Olive Branch Sweet Olive, Fig & Almond Relish is a unique addition to many dishes. 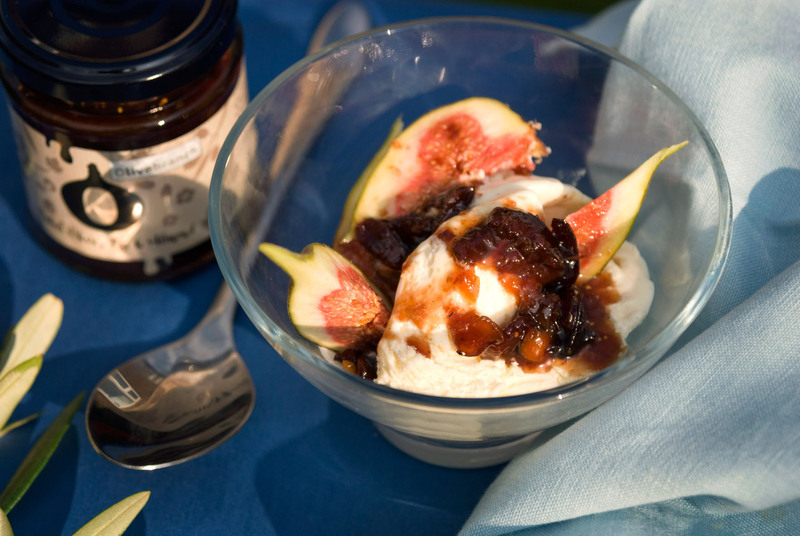 It goes perfectly with goat’s cheese or even over Greek yoghurt or ice cream for a sweet treat. 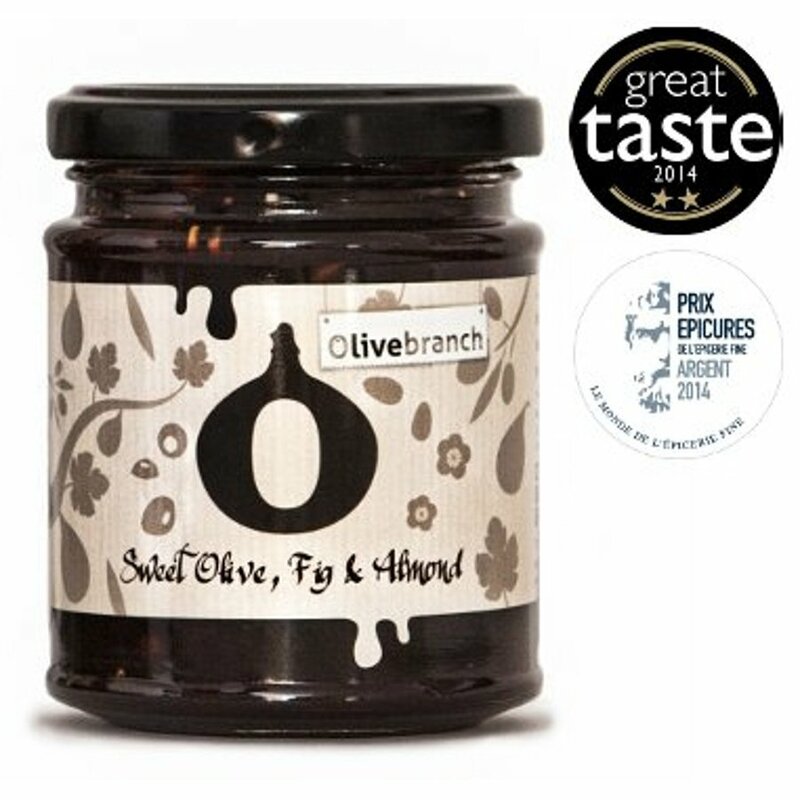 Olive Branch figs are self fertilising. 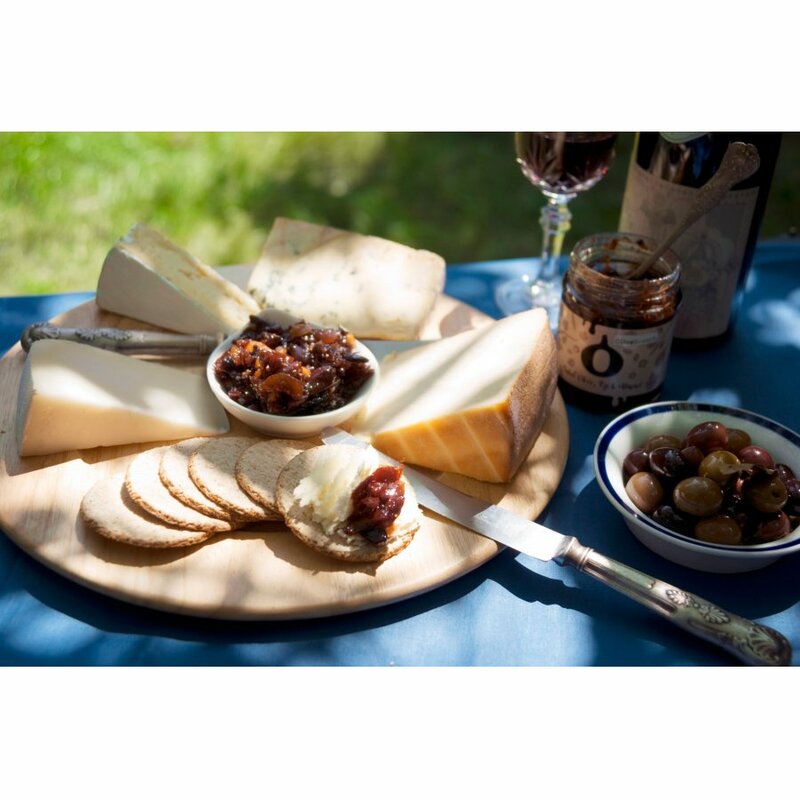 They are sourced from small farmers who use traditional 100% natural farming methods. 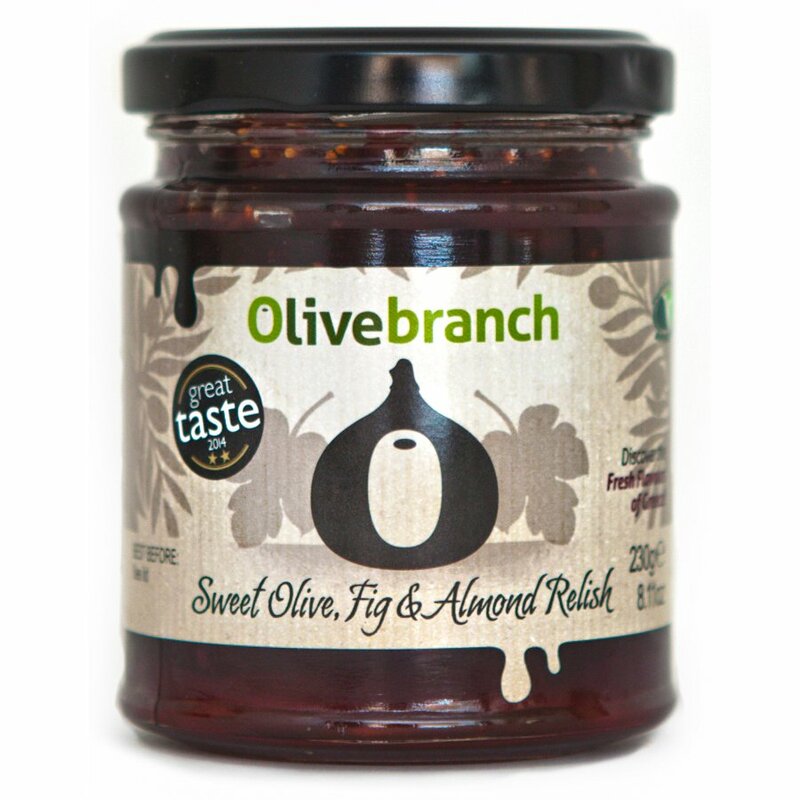 The Olive Branch Sweet Olive, Fig & Almond Relish - 230g product ethics are indicated below. To learn more about these product ethics and to see related products, follow the links below. Absolutely gorgeous relish. I eat mine with cold meats, with a pate sandwich or with cheese and biscuits. 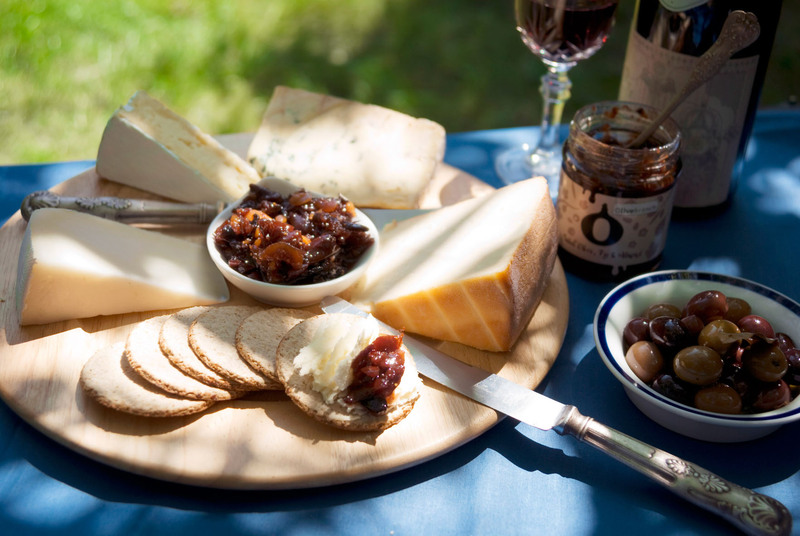 You can really taste the fruity figs and the slight saltiness of the olives with a slight crunch of the almonds which give it an added texture. Buy it by the case - just wish the jars were bigger! 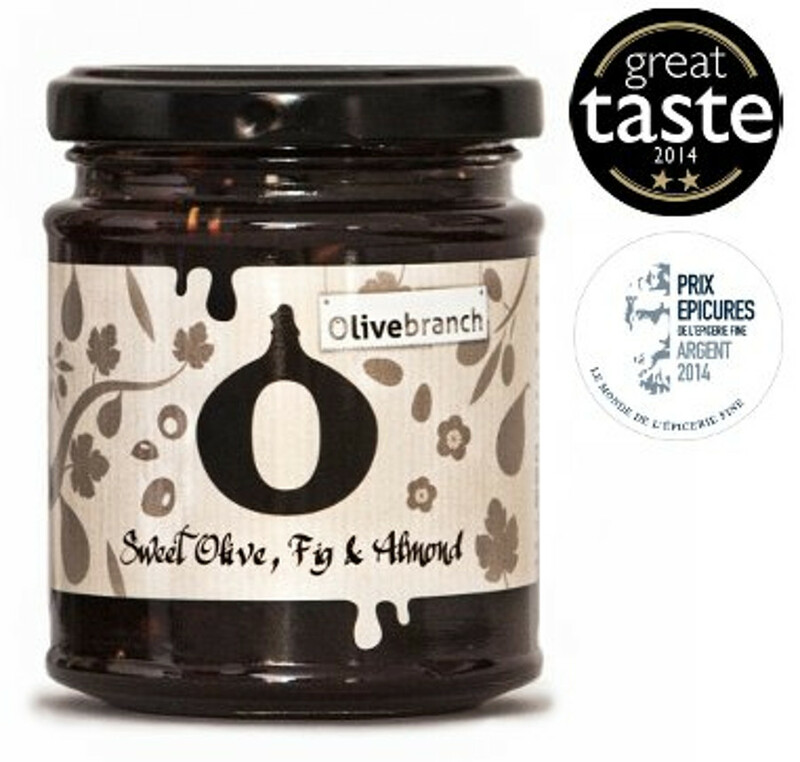 There are currently no questions to display about Olive Branch Sweet Olive, Fig & Almond Relish - 230g. 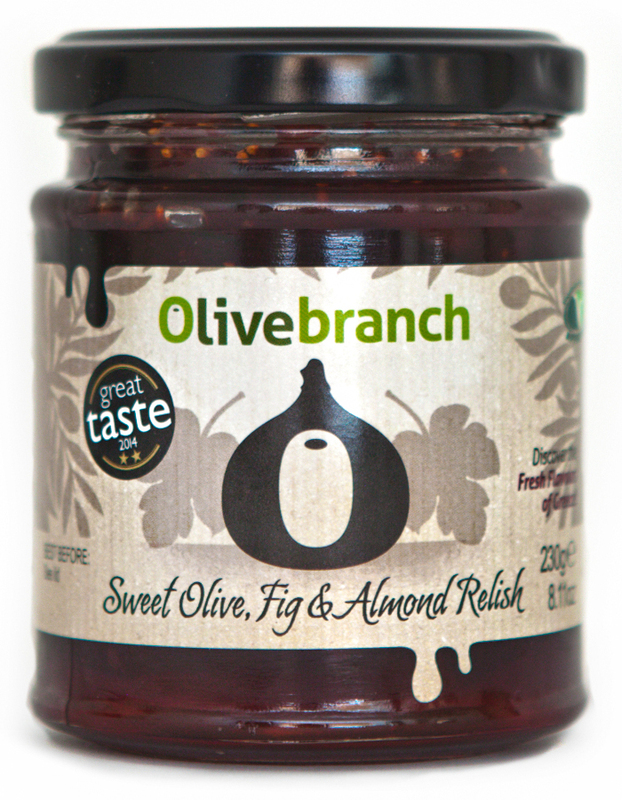 Olive Branch founder Maria Koinaki is from Crete. Like most Cretans, her family owns their own olive trees and as a child, Maria would help with the annual olive harvest, hand picking fresh olives and helping her father to take them to the local olive mill. The combination of ample sunshine and the highest quality Koroneiki olive in Crete, together with a premium cold press extraction process produces Olive Branch superior quality products. They buy the oil directly from Cretan community co-operatives who are owners of their own olive trees.